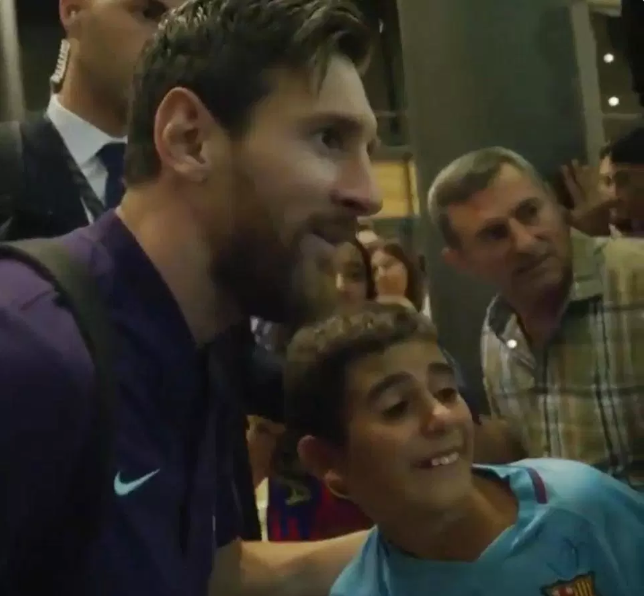 A young Barcelona fan broke down in tears when he met his idol Lionel Messi. The Argentine icon made his dream come true as he signed his shirt and posed for a photograph with him after Saturday’s 3-1 win. 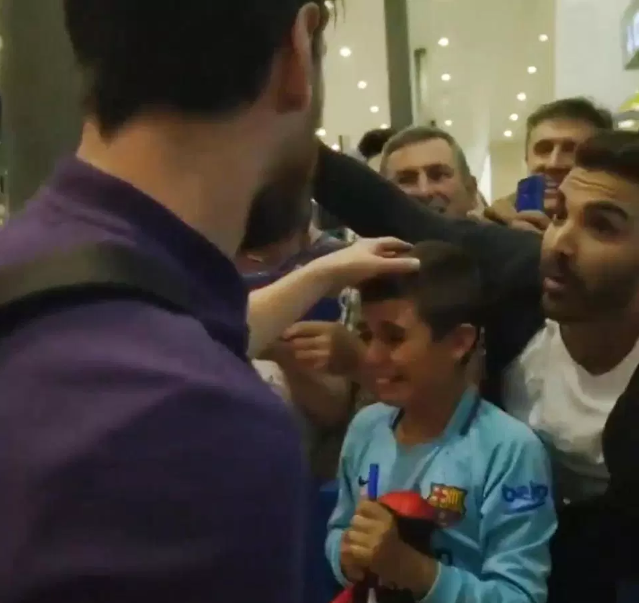 Messi and his team-mates were greeted by a huge army of fans at the Valldolid Airport. The youngster burst into tears as the five-time Ballon d’Or winner made his way towards him. He handed the 31-year-old an Argentine Newell’s Old Boys football shirt – which is the team that Messi played for before he signed for Barcelona. After he gave the signed jersey back, Messi ruffled the youngster’s hair and moved on to greet the other fans. The tearful lad immediately put his hands on the part of his head that the Argentina international had touched. Messi then came back along the line to pose for a photograph with the youngster. Meanwhile, the youngster’s proud dad smiled uncontrollably and took a close-up picture of the 31-year-old. 0 Response to "So Emotional! 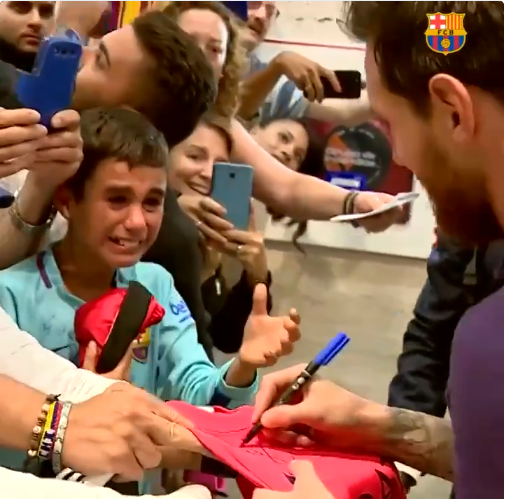 Lionel Messi Makes A Boy Bust Into Tears After Doing This To Him (Photos)"